Recent research into human brain development is proving that parents truly are their children’s first teachers. Research shows that birth through age five is the most important time for children to develop their brains and attitudes towards reading and learning. What parents do, or don’t do, has a lasting impact on their child’s reading skill and literacy. 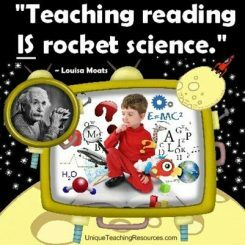 For example, there is considerable evidence of a relationship between reading regularly to a child and that child’s later reading achievement (National Research Council, 1998). Research supports that positive early experiences forge the foundations for lifelong learning and behavior. And, to optimize the development of each child, a rich nurturing environment is required (Diamond & Hopson, 1998; Fischer & Rose, 1998). This section of our website provides information and ideas to help prepare children for school and encourage a lifelong love of reading. Everyone knows that strong reading and literacy skills are necessary for children to excel in school. What many people do not know, however, is that the process of equipping children with those skills begins as soon as they are born. The organization promotes new research on the science of children’s brain development, early learning and early health, to help parents, businesses and communities identify specific actions, consistent with the new research that they can take to improve the lives of young children. A national, nonprofit organization that provides parents, professionals and policymakers with research-based information on best practices and knowledge about early child development, including current research supporting the critical role of early experiences in shaping brain development. A research review: the importance of families and the home environment. Parents are the first teachers and role models for their children, and therefore have a strong influence on their learning. 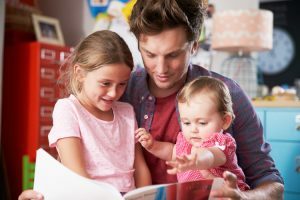 In the last three decades, several strands of research have produced compelling evidence justifying a focus on the family with a particular emphasis on early years in order to raise literacy standards.